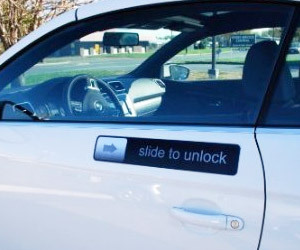 Take your iPhone-ism to next level with “Slide to Unlock” magnet. This is not usual magnet like those for sticking on fridge. It is an extra large sized magnet ideal for cars.